"We call this shirt 'luxury' but with a splash of sleek, smooth silk, it really speaks for itself. And did you know? This wonderful fibre has the added bonus of natural temperature-regulating properties, so you'll never be caught cold or swelteringly stuffy." 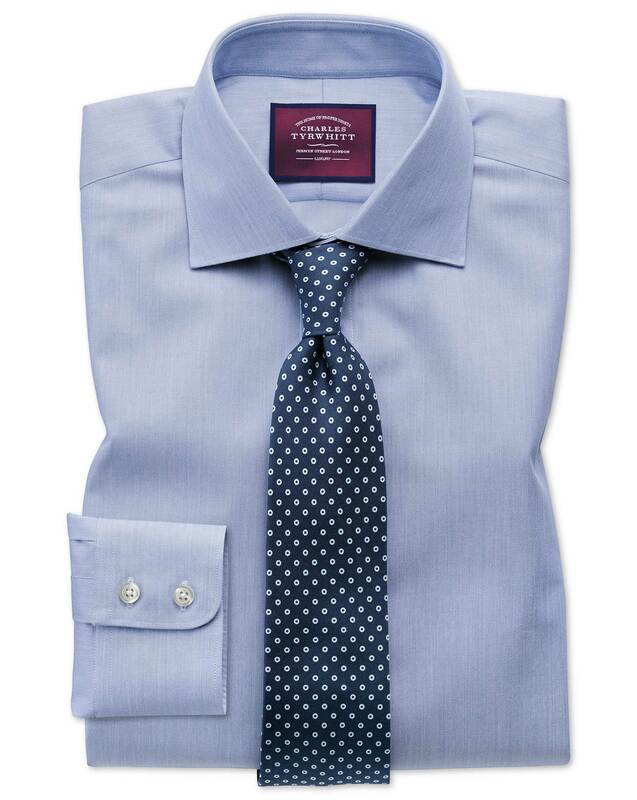 "A hearty dose of silk makes this shirt smooth, lustrous and luxurious." Response from Charles Tyrwhitt: I am sorry to hear that you have experienced this fault with your recent purchase, this is certainly not the norm for our quality standards. I have contacted you directly so that we can discuss this matter further, and I look forward to hearing from you.